Yarr! As ye scurvy dogs may know, today be 'International Talk Like A Pirate Day'. So all the best to ye landlubbers. 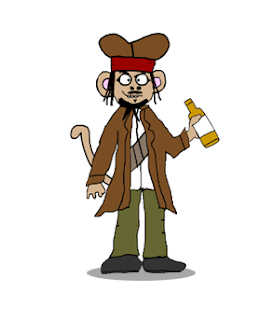 To mark this occasion, I bring ye some new treasure, a buccaneer flavoured Movie Monkey. Click to embiggen.